This post is about decluttering in the home; a subject that a friend opened my eyes to on her own blog. 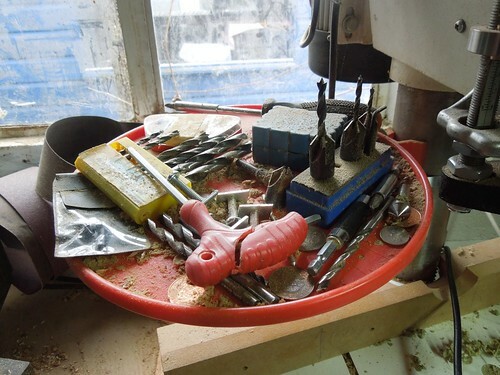 In the past, you may’ve read about my efforts this year to ‘declutter’ my workshop and the impending ‘loss’ of such a feature of my life has only helped to encourage that. For whatever amount of time I have left, I enjoy my time and my space that much more for the reduction of clutter and sheer reliance only on the more-essential of items. I no longer have to worry about that spray gun I hadn’t used since 2009, or the duplicates of cordless drills lying under almost every shelf. I’ve gained money that I can reinvest in more meaningful areas. 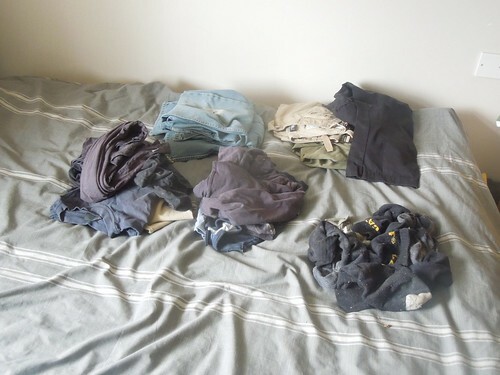 Clothes for the autumn clearout. In all of this though, it is important not to neglect home. I have systems that allow me to keep order of various items. To me, they’re organised. To others, they appear chaotic. Whatever my own beliefs; I only allow them to grow and they end up cluttering my floor space. It may be cold outside and there may still be snow on the ground, with the threat of more to follow later in the week but, I still made it out to the workshop today! Only to arrange some hand and portable power tools that I no longer ‘need’ and can sell… Still, it was nice to get out there briefly. Even though my work gloves felt like sheets of ice, as I picked them up from my workbench. 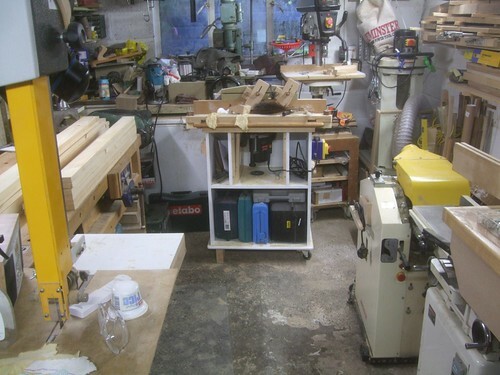 This is my first ‘wave’ in the process of decluttering my workshop, freeing up some space and, of course, preparing for the inevitable. Read on below, and you’ll see what I’m selling and why I no longer need it. This year is very nearly over, as we close in on the celebrations of Christmas time. I’d like to be able to reflect back on my woodworking for the past twelve-months but, I know already that I seem to have achieved less than in previous years. With news that my mum’s looking to sell her house in the new year and also, how I’m wanting to rent my own living space again, it feels as though it’s all closing in towards an end. 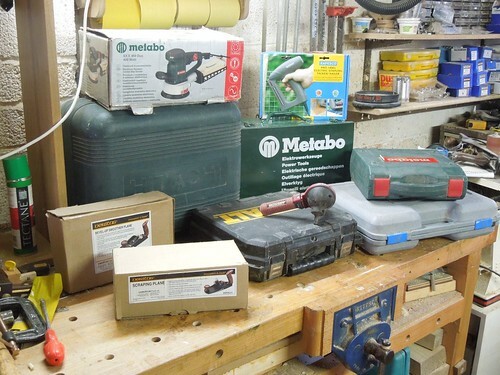 Renting a small workshop is parts of the UK can cost almost as a one-bedroom flat. As we’re both looking to go in to renting, it’s unlikely that a landlord would allow either of us to keep a workshop at home, even if we do end up living somewhere that has a garage. My current workshop, on a good day! Ultimately, I’m going to have to move out of this workshop. That’s already been decided. Do I consider temporary self-storage for some of my larger machines and lesser-used power tools? Matthias Wandel is what you might call a “wood engineer“. If you haven’t seen his website before then, have a look at WoodGears.ca. He’s got lots of interesting ideas on working with wood.